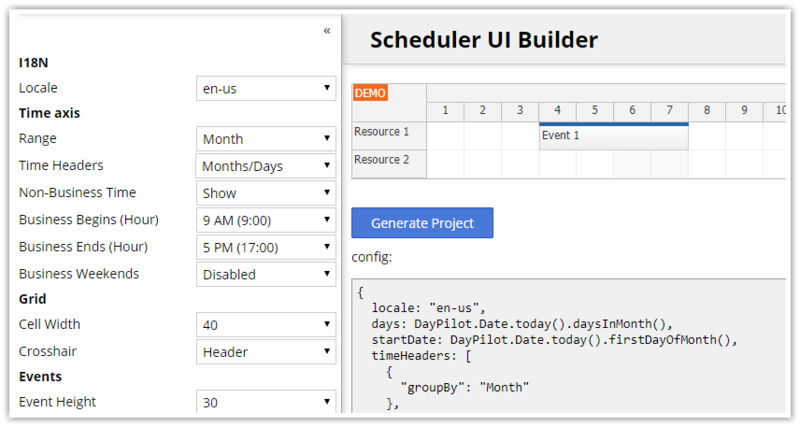 DayPilot Scheduler displays a time line for multiple resources. 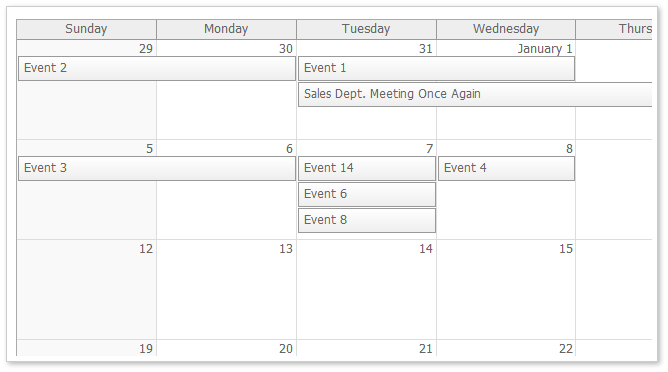 It can be switched to a Gantt mode (one event/task per row). Supports AJAX and HTML5. Includes a jQuery plugin. 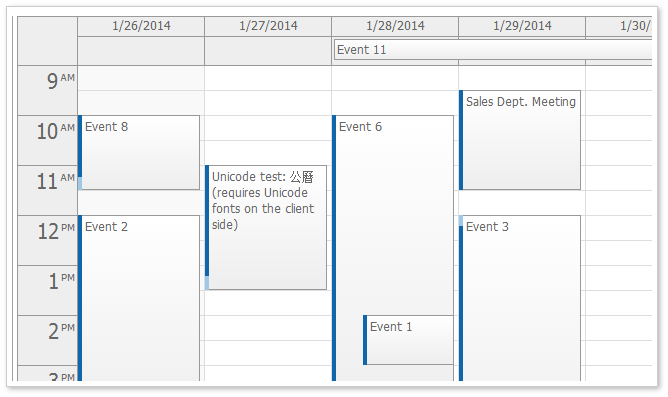 Gantt Chart displays a timeline with each task on a separate line. Supports drag and drop operations, HTML5, CSS3 styling, jQuery plugin. DayPilot Calendar displays a daily and weekly event calendar. Supports AJAX and HTML5. Includes a jQuery plugin. DayPilot Month displays a monthly event calendar. Supports AJAX and HTML5. Includes a jQuery plugin.